The nasty lawsuits between Call of Duty publisher Activision and the ousted lead creators of that hit series got nastier today with accusations that the president of rival EA was instrumental in trying to "hijack" the Call of Duty developers. And there's more mud being slung. Activision also says the makers of Modern Warfare gleefully sabotaged the sister studio behind this year's Call of Duty: Black Ops. Activision spelled this out in a legal filing today through which they intend to add Medal of Honor and Battlefield publisher EA — their Coke-vs-Pepsi rival — to their lawsuit against Jason West and Vince Zampella, the founders of original CoD studio Infinity Ward. West and Zampella were fired by Activision in March for alleged acts of insubordination, just months after the studio the men founded finished and released the huge hit Modern Warfare 2. Activision now wants at least $400 million from EA and has described a series of clandestine efforts by EA to woo West and Zampella away. In its filing today, Activision also has spelled out what it says were acts by West and Zampella to hurt Treyarch, the Activision-owned studio that just released the mammoth Call of Duty: Black Ops. Who knows how any of this will affect gamers, but it makes for sensational reading, suggesting just how bitter the rivalries among some of gaming's most powerful companies may be. West and Zampella, as founders of Infinity Ward, were deep into making Modern Warfare 2 in the summer of 2009 and and had two years left on their contract with the company when, Activision claims, EA came calling. Unable to compete with Activision and Infinity Ward, and, upon information and belief, enraged by the recent defection of two Electronic Arts executives to Activision (unlike West and Zampella, the executives who left Electronic Arts were not under employment contracts), Electronic Arts was determined to retaliate. Electronic Arts set out to destabilize, disrupt and to attempt to destroy Infinity Ward. Although the precise dates the scheme was conceived and initiated remain somewhat unknown to Activision it was clearly underway no later than July 30, 2009. At that point, the Call of Duty publisher claims that EA's number two executive, John Schappert, started communicating in secret with West and Zampella, bringing Hollywood agents into the mix and trying to woo the Infinity Ward chiefs away. The Activision filing includes copies of e-mails allegedly sent by CAA agent Seamus Blackley saying ""I'll wager a kidney that you'll be astonished" about the opportunity he wanted to set up for the Infinity Ward guys. Another e-mail featured Blackley inviting the IW guys to visit with EA boss John Riccitiello: "JR cooks a mean BBQ. I think we could accomplish some interesting chaos." According to Activision, EA dispatched a private jet to bring West and Zampella to the get-together. In time, and with EA's knowledge that West and Zampella were under contract to Activision for another two years, Activision claims EA and the two Infinity Ward founders hatched a plan — one rife with private e-mails, attempts to surreptitiously scan company documents and maybe even a good deal of cackling — to start a spin-off company that would make games to compete with Call of Duty. 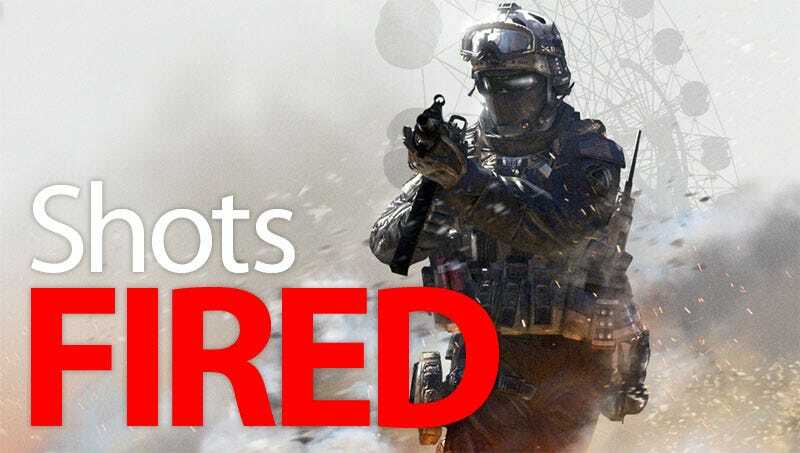 EA, CAA and the Infinity Ward founders were assisted in their plot Activision says, by Harold Brown an attorney who was formerly a member of Activision's board of directors. He is not being sued by Activision. Activision is informed and believes that the negotiations between Electronic Arts and West and Zampella were structured with the design and the expectation that West and Zampella would "spin out" from Activision and would take significant numbers of key Infinity Ward employees with them to set up their own independent company so that Electronic Arts could make another run at competing with Activision. Electronic Arts would finance the illicitly-created start-up in exchange for an ownership interest or exclusive distribution rights to the content created by their new company, which would produce video games for Electronic Arts instead of Activision. Since the spring, Activision has claimed that it knew West and Zampella had talked to EA, but until now it hadn't squarely accused those parties of scheming to hurt the Call of Duty series. Last spring, West and Zampella formed their new company Respawn Entertainment, which signed a deal to put out its first game through EA. The new legal filing we saw today also goes into richer detail before in alleging how the founders of Infinity Ward supposedly tried to interfere with Treyarch, the Activision studio that had traded making Call of Duty games with them in recent years, taking the odd years, and with whom IW was already known to have a frosty relationship. Infinity Ward Guy Calls Activision Guy "Super Douche"
Although West and Zampella preferred to portray themselves – both to the public and within Activision – as game developers often forced to battle with corporate "suits," the reality was and is much different. They were small-minded executives almost obsessed by jealousy of other developers and the thought that another Activision game or studio might share their spotlight. Motivated by envy and personal greed, West and Zampella went so far as to deliberately undermine the efforts of other developers within the Activision family and then lied about their conduct. On the same day that Treyarch released a video trailer promoting a follow-on product – a "map" pack or "downloadable content" – designed for players of Treyarch's game Call of Duty: World at War, West and Zampella released a marketing video for Modern Warfare 2 with the purpose of hurting Treyarch's and Activision's marketing efforts. Far from being remorseful, West attempted to justify his actions on the ground that Treyarch had insufficiently coordinated with Infinity Ward by stating: "We released on the same day as you because we had no clue you were releasing anything. We are not happy about it." The real truth, however, was revealed by a series of text messages between West and an Infinity Ward employee contemporaneous with the video trailers' release. The employee texted West that "treyarch released their mp dlc video." West responded: "Super nice? We release our video? Crush and destroy with our video." The employee answered: "We already did. And . . . we already did." West's following comment: "Nice." Thus, West's own words reveal his intentional strategy to "crush and destroy" his fellow developers at Treyarch. Activision has an interest in painting West and Zampella in the worst light possible, of course. They are counter-suing these two fired employees who sued them. In the past Activision has intimated that the Infnity Ward founders withheld money their subordinates at IW deserved. In this new filing, Activision is more explicit and provides a lurid example of alleged unfairness. The following are examples in which West and Zampella's self-interest in executing their secret plan to leave Activision corrupted their judgment so fully that they actually attempted to damage the very Infinity Ward employees they purported to lead. In July 2009, West and Zampella were asked by Activision management to provide the names of the Infinity Ward employees that should receive millions of dollars of Activision stock grants in connection with the development of a Wii version of Call of Duty 4: Modern Warfare. West and Zampella adamantly refused. Again, in October 2009, when Activision planned to include Infinity Ward in its annual equity grants, West and Zampella refused to provide Activision with a list of the names it needed of the Infinity Ward employees that deserved awards of valuable stock and options. In responding to the President and CEO of Activision Publishing concerning the equity grant, West wrote, "You can give all the options to Vince and I . . . .," thereby depriving their own Infinity Ward employees of additional compensation. It's not clear if the current and former employees of Infinity Ward are familiar with this version of events, but several dozen Infinity Ward employees did leave the company after West and Zampella's dismissal, many of them joining the two men's new start-up Respawn Entertainment, which is making a game for EA. Activision hopes to get EA added to its counter-suit in January. The case is expected to proceed in mid 2011. What's it wind up meaning for gamers? These kinds of suits can produce juicy stories — true, false, spun — about the people who make the blockbuster games we play. Elements of the suits do call into question who has the rights to make a Modern Warfare 3 and now whether EA can profit from making a game with Respawn. It's certain, though, that Activision will keep on making Call of Duty games and EA will keep trying to unseat them by making rival first-person shooters, at the very least. Update: The attorney representing Jason West and Vince Zampella has responded to Activision's updated complaint: "Activision's filing is a pathetic mash-up of false and reckless assertions, designed only to delay the march to justice for Jason West and Vince Zampella. But what else would you expect from a company that doesn't let the truth get in its way." Update 2: EA responds, calling Activision's accusations "petty." Read the full legal complaint in the gallery below. For a recap of the latest events in the imbroglio involving Activision, Infinity Ward, West, Zampella and now EA, check out Kotaku's ongoing Call of Duty Legal Warfare coverage.